Takeaway: CIOs that aren’t doing the things that pundits look at as future skills aren’t really CIOs. They may be CIOs in title, but perhaps not in function. I do a lot of reading of blogs, articles, magazines and the like. In many of these publications, I keep reading about the “CIO of the future” or “CIO 2015″ and the like. In these readings, the authors are making the point that the CIO role is changing and outline the kinds of skills that these future CIOs will need. I actually believe that they are correct with one very key differentiator. The future is now. CIOs that aren’t doing the things that pundits look at as future skills aren’t really CIOs. They may be CIOs in title, but perhaps not in function. If you’re actively rejecting any and all requests for third party services, it’s time to reconsider your stance. Whether you know it or not, business users are identifying point solutions to meet their individual challenges. If you simply say no to all of the requests that come your way, you will soon be the victim of shadow IT deployments that pop up all over the enterprise. Instead of simply saying no, define processes and policies around application governance, if you haven’t already. Provide users with a roadmap that they can follow as they evaluate services and act as a partner in the process - a partner with veto power in certain circumstances, of course. Vendor security requirements. Ensure that vendor systems meet your company’s requirements. Federated authentication requirements. Ensure that vendor systems can authenticate against your internal systems. This way, regardless of what happens, IT continues to control access to key business systems and users retain their single set of access credentials. Integration requirements. Ensure that services can adequately and in an automated way integrate with existing systems. There should be no data islands or introduction of data inconsistency as people move toward the cloud. Here the thing… IT isn’t going to have the level of direct control that has been enjoyed in the past (which makes the three items in the “Cloud skills” section so important). Services are going to begin to decentralize as they’re moved toward other platforms. But, here’s the thing: The ERP and similar systems aren’t going to be gone by 2015. So, if you’re read articles claiming that IT in 2015 will look nothing like it does now, think again. Companies have made massive investments in their business systems and it’s going to take a whole lot of ROI to supplant systems that work. Of course, these systems may be joined by cloud-based relatives, but under the right set of policies, that’s ok.
I’ve read a lot of punditry claiming that the CIO will need to eject or seriously deemphasize infrastructure from his personal portfolio in order to be an effective CIO in 2015. Except, here’s the thing: Infrastructure is really, really important. Let’s say that the CIO decides to place little to no focus on it at some point in the future. What do you think is going to happen to that CIO’s credibility when the network is constantly down and people can’t do their jobs? It’s not going to be pretty. Although CIO aren’t generally going to be walking around configuring switches and the like, there must be some level of focus on the nuts and bolts of the operation, even if that function is delegate to a trusted lieutenant. 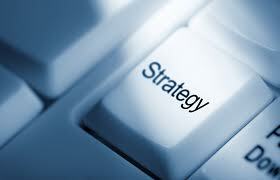 The current and future CIO will continue to ensure that infrastructure performance remains top notch, but the people occupying this key business position should already be business strategists capable of understanding the organization’s revenue and expense drivers and understanding how the various portions of the business operate. This isn’t a 2015 thing. This is a now thing. Already, today’s CIO are becoming or have become masters at reengineering and integrating new processes into key systems. The CIO is enough of a business strategist that he and his staff can sit with counterparts from other divisions and speak intelligently about needs in that area and assist in process-based improvements. From an integration perspective, today’s CIO must already have created an environment that is integration friendly as the aforementioned cloud based apps begin to descend upon the organization. Again, this isn’t a 2015 thing. This is happening in the here and now and CIO’s can’t think that this is tomorrow’s problem. I know that these traits will be obvious to some and that there are many more. However, I believe that it’s important that CIOs and senior IT leaders make sure they realize that 2015 isn’t going to happen in 2015. 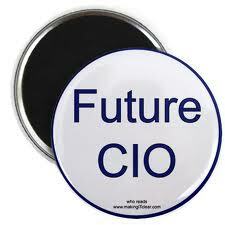 The CIO of 2015 is needed in the here and now.